Lunch at the Beach. In January. 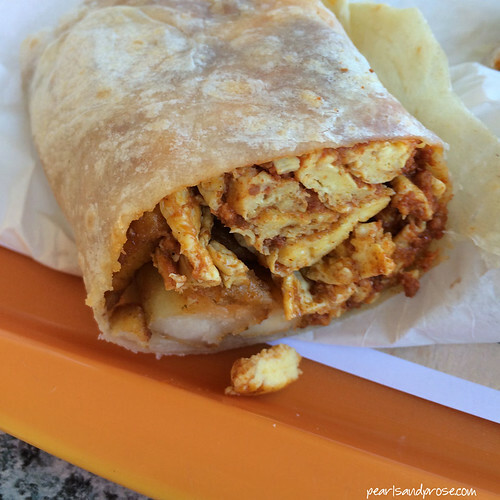 A few weeks ago, my husband and I grabbed some chorizo burritos at a place next to the beach…. Chorizo sausage, scrambled eggs and potatoes in a homemade tortilla. Yummers. It was one of those spectacular California winter days with dazzling sunshine and skies so blue they almost hurt your eyes. Luckily we had finished eating before these guys showed up. 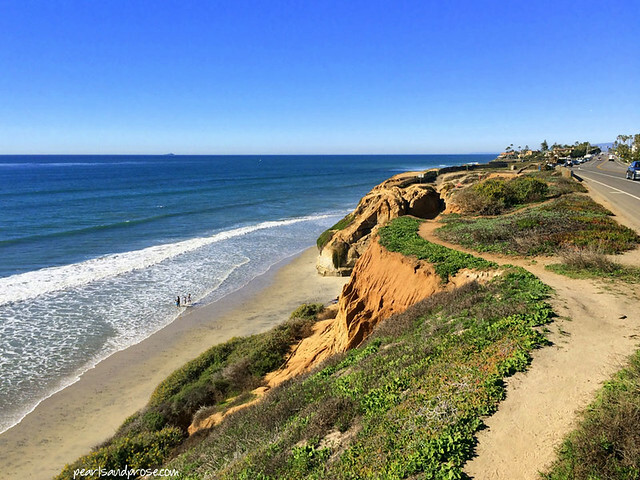 We walked along this path and just enjoyed soaking up the sun and listening to the surf. Hoping I never take it for granted that I can walk on the beach in January wearing just a light jacket. This has been a tough winter for the East Coast–Boston has gotten over 75 inches of snow! Hard to believe, when we’ve had temps in the 80s lately. Hopefully, spring is just around the corner for them. 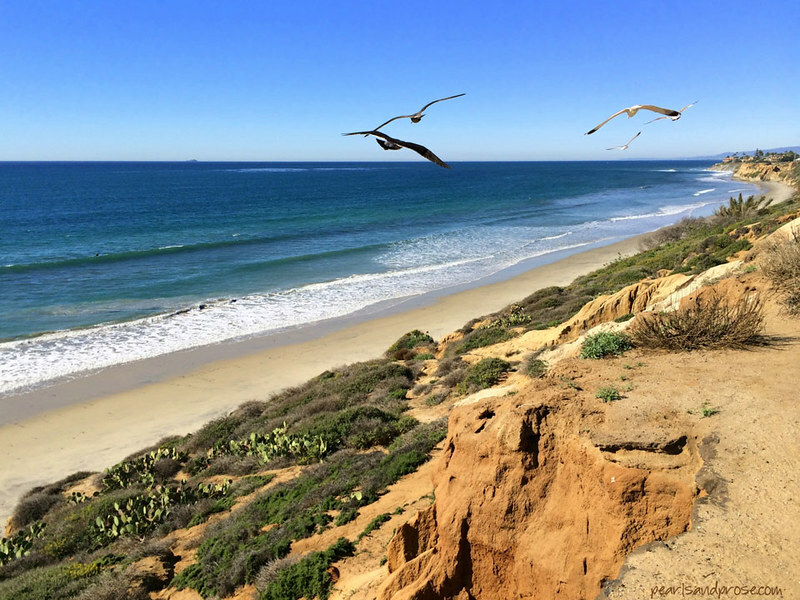 This entry was posted in photography and tagged beach, beach path, California, chorizo burrito, iPhoneography, seagulls. Bookmark the permalink. 12 Responses to Lunch at the Beach. In January. The color of that sky is something. I like a beach in winter. They are so good, Caroline. I think winter in Calif. is my favorite season. The skies are much hazier in the summer here. Beautiful pictures! It looks so warm…I want to be there! 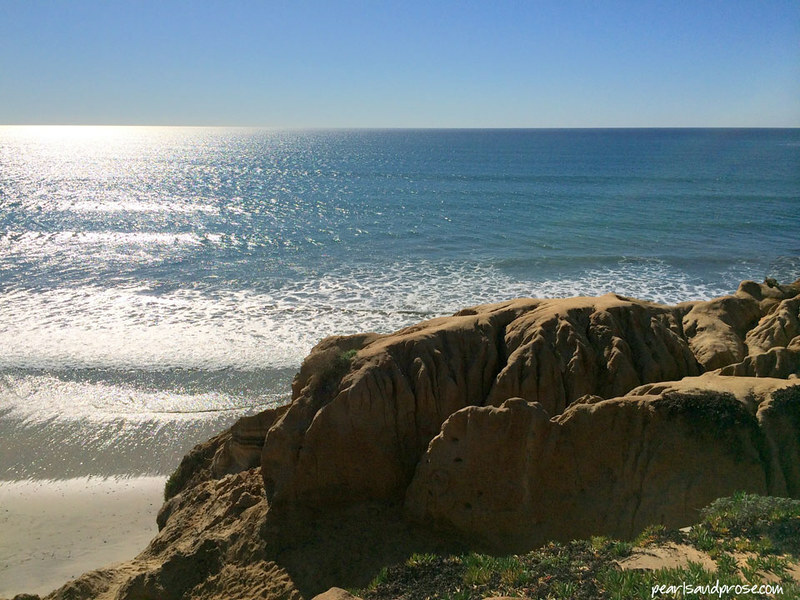 I love the rocky cliffs that drop off into the ocean below — makes for some gorgeous vistas. Enjoy! I do too! Hope you don’t have a lot of snow back there, Jackie. Stay warm…. I am pretty much enjoying the same view 40 miles up. I can’t believe how much snow Boston is getting. Glad I’m not there. And I do miss the beach this time of year. No June gloom. Forgot you used to live in Boston. They are really having a time back there this year. Surprisingly, we didn’t have May gray or June gloom last year. Hoping that happens again.